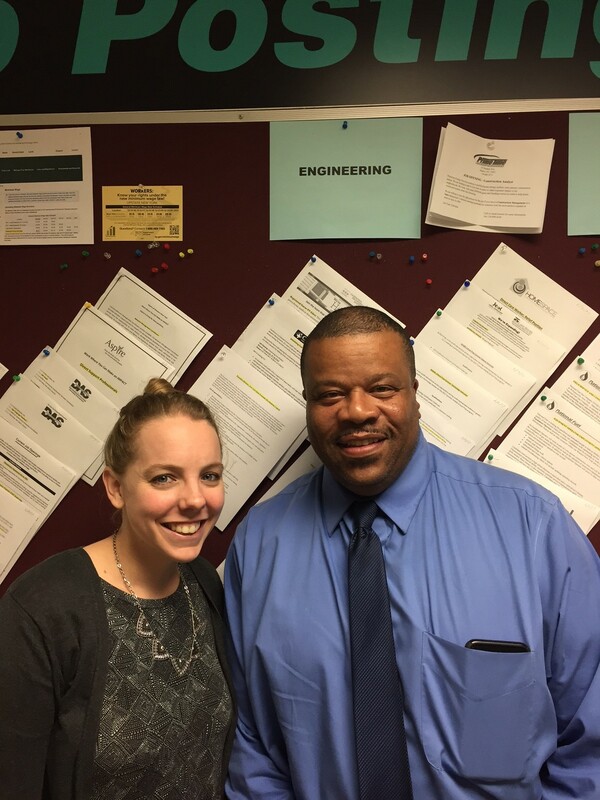 Our ECC One-Stop Career Coaches Courtney LaPoint and Booker Piper are excited to be part of a special project in the 14215 zip code. We are changing the lives of families one job at a time through our partnership with the Buffalo Promise Neighborhood Two-Generation Program and M&T Bank. J. from Buffalo – Many people underestimate the power of a professional, targeted resume, but not us. When we started working with this mother of three young boys, this hardworking parent needed another more reliable position within her field of interest, the healthcare field. Her ECC One-Stop Two Generation Career Counselor created a beautiful new resume to market her wonderful skills, and within a month's time, she found a position as a Dialysis Technician. L. from Buffalo – L holds a Bachelor Degree in Criminal Justice and was working at a grocery store for over 7 years with no upward mobility in sight. She happily landed a position as a Housing Counselor within a month's time of engaging with a Career Coach, with the help of a resume reboot and job referral to the housing agency. Her journey is far from over, and we look forward to celebrating her future successes. T. from Buffalo – Over $20,000 in defaulted loans were standing in the way of this mother of six young children in pursuing further education. Our Career Coach assisted her in setting-up a low-income payment plan with a reputable loan servicer, in order to get her out of default and in good financial standing. This mom also completed a pre-college program. We know this is the beginning of success for our busy mom, and we are proud to be a small part of her journey. M. from Buffalo – This college-educated mother was unemployed for over a year due to a death in the family. She needed a fresh start and successfully obtained a position as a Methadone Counselor after her Career Coach helped her reinvent herself through a professional resume and quality job referrals. Happily, she achieved her highest salary rate by earning $10,000 more a year than she ever had before!